Swedish furniture purveyor Ikea has branched out into the world of fine dining, with a short film showcasing a pop-up DIY restaurant it has set up in Shoreditch, east London. The new film, and the restaurant itself, were created by Ikea's consumer PR agency Hope&Glory, with the event produced by the agency Drive and the company Disappearing Dining Club managing the restaurant. An opinion poll released in conjunction with the campaign reveals that more than one in three Britons (39 per cent) feel they don’t have the time or space to host a dinner party. There have been more than 350 pieces of coverage to date, according to Hope&Glory. As well as national news media in the UK, it has also featured on ABC news in the US, as well as in Fortune and Time magazines. 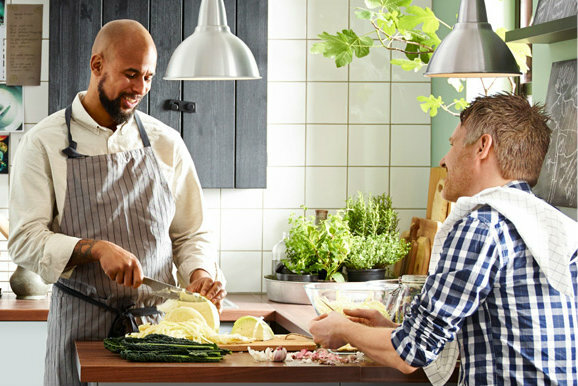 The IKEA dining club, which opened on Saturday (10 Sept), will run until Sunday 25 September. Several thousand people have already applied for places at the restaurant, where they can book to host a brunch, lunch, or dinner part for up to 20 people, through a competition on a specially created website. Successful applicants are chosen on the basis of how they answer the question of which three people they would invite for a meal and why.